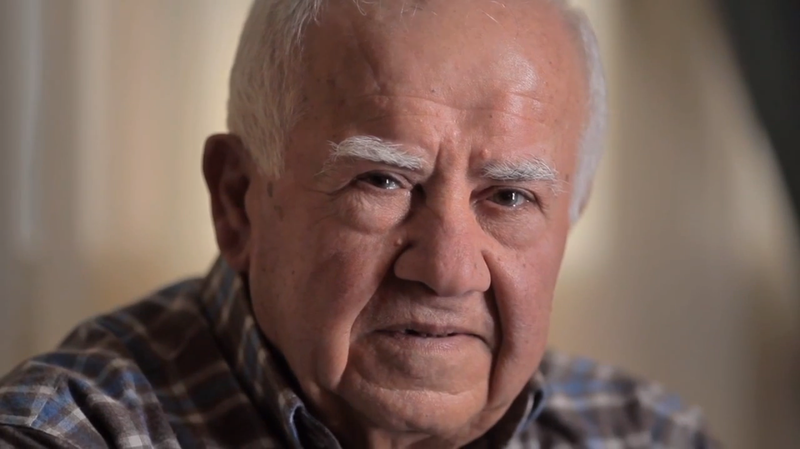 Johnsons Baby Middle East are running an interesting campaign entitled “The Grandparents Frame“. It’s based on the following insight: In the Middle East, a lot of people leave their country to live abroad but, grandparents usually stay home and thus, don’t really see their grandchildren growing. Of course today, with the technology advancements it’s less and less an issue but, there is still a big chunk of the third generation that don’t feel at all at ease with the digital world. Johnsons Baby created a mobile app that allows you to send any picture to a digital frame via the internet. It’s important to keep in mind that you need to have a digital frame that has an internet connection feature along with the ability to receive pictures via e-mail. Technically speaking the app simply sends the picture via e-mail to the frame’s address. Still, the concept is quite interesting and it is a good marketing move by Johnsons Baby for their family positioning. I was approached by Johnsons Baby’s digital agency and they offered me a digital frame asking me to contribute by spreading the word. After having FedEx contacting me to pay taxes in order to receive the frame, I finally received it. Don’t worry I didn’t accept to pay explaining that it was a gift and the senders ended up paying them. Even-though the guys at the agency never mentioned anything to me or apologised about that, I didn’t complain because those stuff happen and it’s not that bad. It just incurred a four-day delay. Once I got the frame, I wanted to try it before going to my Grandma’s place: I set it up and tried sending some pictures. It all went well. It’s not as smooth as I was expecting because each time you receive a picture you get a notification that you need to open to approve for it show unless you turn the frame off then on again. Anyways, this is specific to the frame system not to The Grandparents Frame app. I then realised that when I delete a picture from the app it doesn’t remove it from the frame and I’m sure my grandmother won’t go and delete some pictures when the memory will be full. The solution to this is to be able to manage the frame online so I can take care of this when I’m abroad. The Kodak Pulse frames are anyways only manageable online. There is not much you can do directly on the frame. You need to have an account and register your frame(s) on it with their unique activation code. That’s what I tried to do but failed because it turned out the frame was already registered on an account under the name of “GF000014 grandparents”. Johnsons or their agency is definitely behind this because the name is specific to the campaign. I raised this issue to my contact at their digital agency asking him for a solution which I never got. 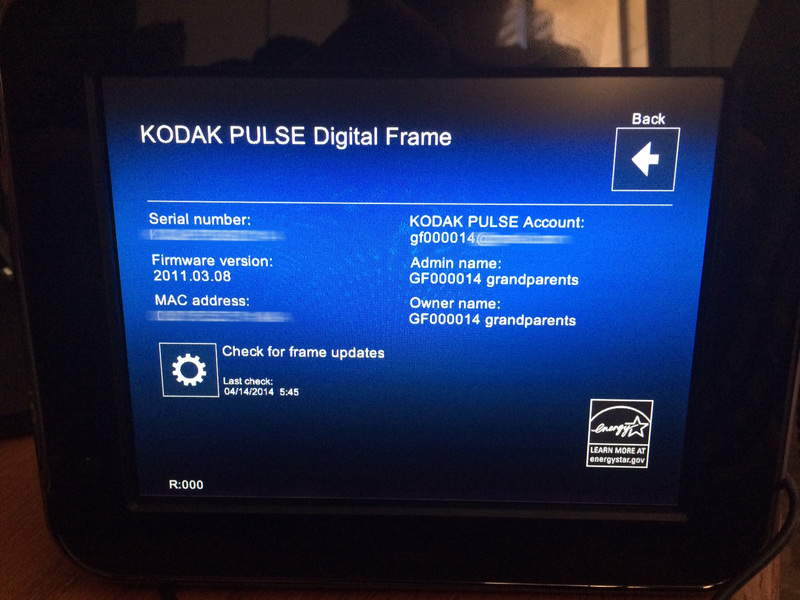 Frame screen showing that it is already registered under the name “GF000014 grandparents”. The agency person told me that they did not register it and sent me the link to a blogger’s article reviewing the app to show me that it’s working well for others. The blogger was Dubai-based and received another frame (a Sony one). I got back to him showing the difference in frames and what was the argument then? “JnJ told me Kodak is the expensive one frame so that’s why I kept it for Lebanon Bloggers”. First, if the frame is more expensive it doesn’t mean it will solve the problem. Second, I doubt the Kodak one they kept for Lebanese bloggers is more expensive because it is two years older and has fewer features than the Sony one. That’s what I replied to the agency and asked again for a solution to the problem or to be put in contact with the right person at Johnsons Baby to make this work. Since then: I never heard back from the agency. The people who created the accounts to register the frames sent to Lebanese bloggers have maybe access to our frames. The Grandparents Frame didn’t seem that cool anymore. The family never used The Grandparents Frame. My grandmother never saw the frame. Update: After this post was published, the guy from the agency got back to me saying that that’s how they received the frame and that he can’t help with the configuration issue.